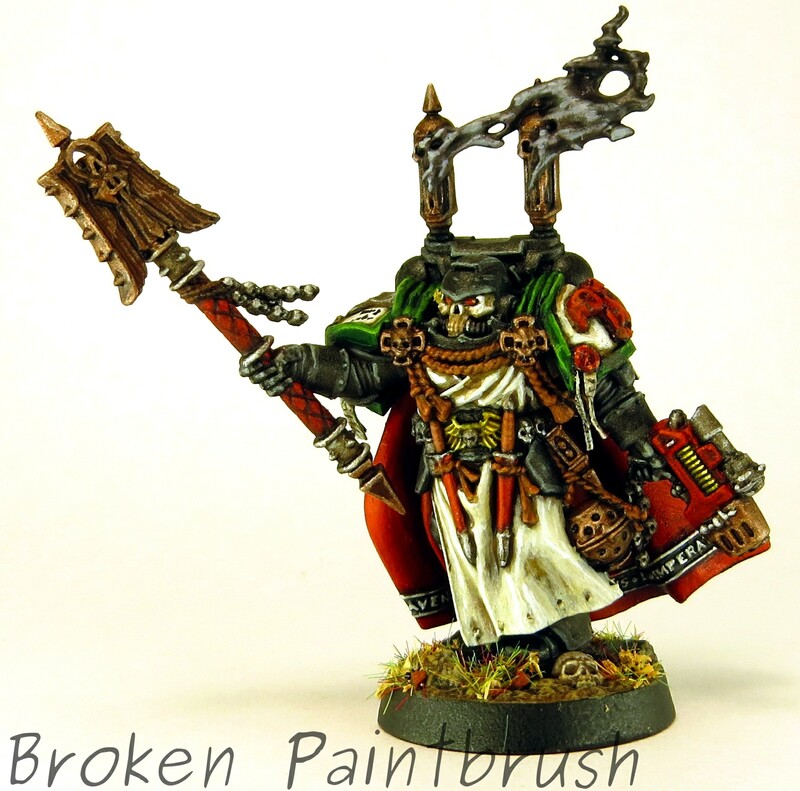 Another HQ from the limited edition of Dark Vengeance, this is Oldss Knirror, Mentor Legion Chaplain. When the limited edition was announced, this was the reason I jumped on it. While I haven’t been a fan of the other Chaplains, the billowing smoke from this guy gave it another level of sinisterness! Before getting started, I planed out what areas would be the green and red for the Mentor Legion, and what would be the black and white of the Chaplain. Leaving the robes white helped breakup all the other colors. Very little was done to the model other than removal of most of the Dark Angel markings and the addition of the Mentors shoulder marking (another press mold). To do the Mentor Legion icon the whole shoulder pad details were removed and the press mold used to create the eagle head. I then took thin plastic strips to recreate the border. The edges were cleaned up with green stuff and the purity seal on the corner actually covers where I chipped a bit too much off. I left the sword icons on the cape since I think they looked cool in their own right. 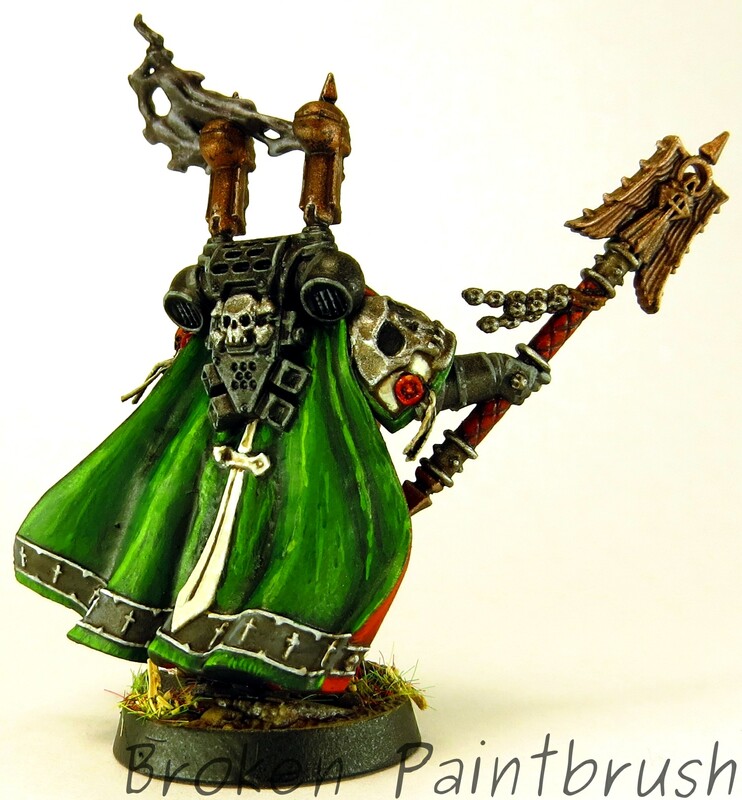 I wanted the cape to be a brighter green than the armor normally to contrast with the black Chaplain armor. It actually took a few back and forth cleanups to get the line between the green back and the red front nice and crisp. I debated on changing out the weapon head for something less Dark Angle iconic but decided it fit the general Angles of Death them just as well. Considering this is a plastic model from a starter set, I found it to be a very impressive model and hope at some point they will ‘re-release’ it as a stand along clam shell. Or better yet, create a multipart kit like the Space Marine Captain that could create multiple poses and weapon options. 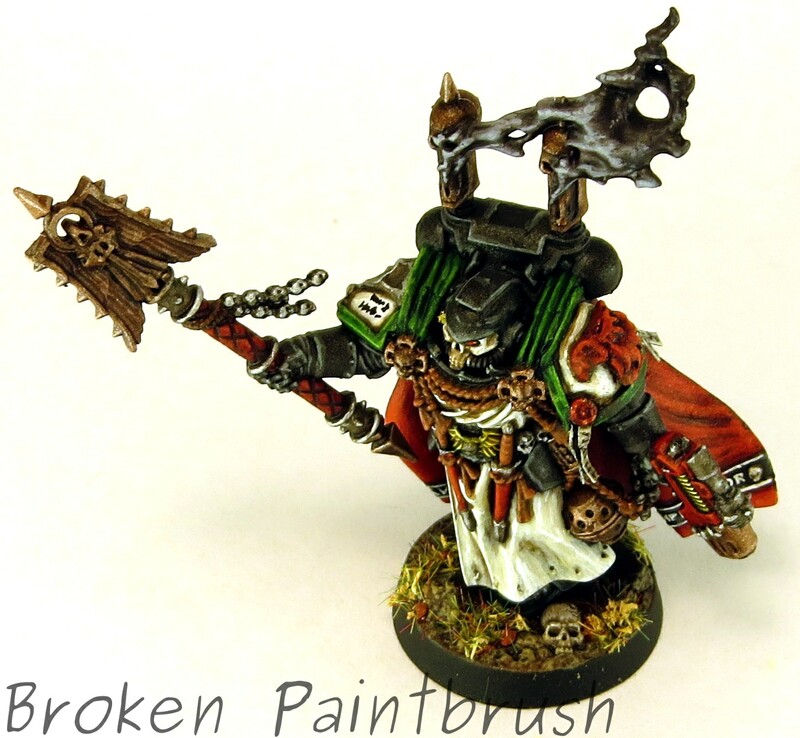 Like the Librarian, painting the black armor is a nice change of pace to all those green and white plates.